There’s little that beats a family trip to the supermarket these days. Oh how I love spending 45 minutes prepping to go and then returning to the house several hundred times to do wee’s, get forgotten coats, find Elsa’s cape, remember to bring the 3pm bottle and by then back in again for poo’s. It’s little wonder they all stay open until nearly midnight. I’m normally in a cold hard sweat by the time we reach the end of the fruit and vegetable aisle and have lost the will to live somewhere between the fish fingers and frozen peas. It’s around and about then I start to notice all the additional crap stuff that has been loaded into my trolley and so begins the process of my sneaking the extra packets of vanish stain remover (pink), Cadbury snacks (pink) Boland’s raspberry creams (pink) – can we see a pattern emerging? – back onto the shelves. All this before we even reach the cereal aisle – a supermarket’s equivalent of a toy superstore!! Octopus boy at this stage has nearly licked the entire trolley clean despite my repeated attempts to stop him. And surely before we reach the home straight (bread aisle in my local) the need to finish the poo we had already originally turned back to do will be announced. At which stage I am now completely ignoring the massacre that is emerging before my eyes, having long since reached the conclusion that prevention would be far less convenient than the cure in this instance. And so we reach the till. Here the games really begin. It’s like a lightbulb goes on in 1st and 2nd born’s brains and they unpack. Oh and by Gosh, do they unpack like no man has ever unpacked before!! All at once & with no respect or regard for anything delicate or breakable. We will only stop to admire the mountain of commodities we have built on 10 square inches of conveyor belt. And at this stage, of course, my bread looks flat packed. Everything I had ejected from the trolley has miraculously reappeared, with some extras such as shaving foam, various packets of tampons (marketeers dream my children – lovely small child sized boxes) and the obligatory packet of cheese. And on it goes but amongst all this confusion there are a few essentials that I have managed to sneak in. Not in the bread and milk sense but in the “try to stay healthy” sense. I’ve found supermarkets have begun to stock a lot of what we used to only be able to buy previously in health food shops. Now I am all for shopping locally and support my local farmers markets and independent retailers whenever possible – but sometimes with the kids it simply is too difficult! I feel in the spirit of fairness it needs to be said that with markets and in smaller retailers you can avail of really high quality produce or very specialised products not available elsewhere. Here are my top 3 picks of these types of items that I ALWAYS have in my cupboard that I can now pick up when doing my weekly grocery shop. Buy here in Tesco or here in Holland and Barrett. Buy here in Tesco or here in Holland and Barrett. Dunnes also stock this. 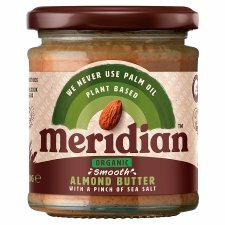 I use this religiously in my shakes, on my porridge, thrown into a stir-fry or on my granola. These are high in omega-3 fatty acids and certain antioxidants – in English?….. great for your heart, can reduce inflammation and can balance female hormones! 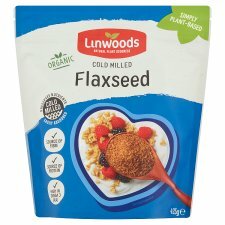 Buy here from Tesco and here in Holland and Barrett. I use these in my smoothies, in lots of baking and also I make overnight breakfasts and puddings from them. These tiny superfood seeds are a great source of omega-3 fats and fibre – great for brain power and keeping you regular. Nice. So why not try add one of these things to your shopping this week. Remember one change at a time and they will all eventually add up without it becoming an overwhelming process. I will post some recipes over the coming weeks with these ingredients in them for inspiration! Let me know if you buy them! Next Post Getting the sweat on! I used to hire a baby sitter just to allow myself the “me” time of doing the weekly trolley haul. Thank god for online groceries and nice delivery vans. Hi cliona joan doherty here, laughing my way through your blog s!!! Nothing like a good laugh before a night feed! I can so relate to the shopping trip but balance has been restored with the arrival of super valu online shopping! Hope all well – little ones are fab!